Which Type of Nurse Makes the Most Money? Nurses holding Ph.D.s often earn the most, as far as level of education goes. Many avenues exist to venture into the world of nursing. 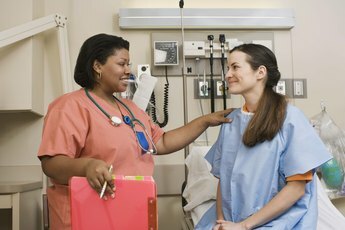 A one-year vocational program can get you in the door as a licensed practical nurse. But this position is far from the highest paying nursing role. To earn the most money, you typically need an advanced degree. From there, you can improve your earnings by getting a professional certification, signifying a specialty in nursing. Even your choice of employer can affect your salary, so the type of nurse who makes the most money isn’t as cut and dried as you might think. While registered nurses earned an average of $69,110 a year, the level of education has a direct impact on salaries -- just like any other career. As you might expect, nurses holding a Ph.D. tend to earn the most, averaging $80,000 a year in 2011, according to a survey by Wolters Kluwer Health, a global information services company. Those holding a masters of science in nursing averaged $69,500. But RNs with a master’s degree in something other than nursing, like an MBA, for example, earned the second highest, averaging $72,700 a year. Like physicians and surgeons, RNs have the opportunity to specialize in a branch of medicine. CNOR-RNs, or certified nurse operating room registered nurses, earned the most, averaging $71,500 a year in 2011. 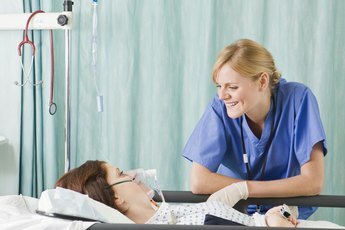 CEN-RNs, or certified emergency nurse registered nurses, earned the second highest, making an average of $71,200 a year. OCN-RNs, or oncology certified nurse registered nurses, were a close third, earning $70,600 a year. They type of hospital also affects earning potential. Registered nurses at VA or military hospitals earn the most, averaging $75,900 a year — regardless of specialty. Those working at university hospitals also fared better than most, earning an average of just over $69,000 a year. Interestingly enough, nurses at private hospitals earned the least, with an average of $62,400 a year. Nurses holding the title of advanced practice nurses, or APNs, who have an advanced clinical education, earned the most, averaging $80,000 a year -- right in line with nurses holding Ph.D.s. 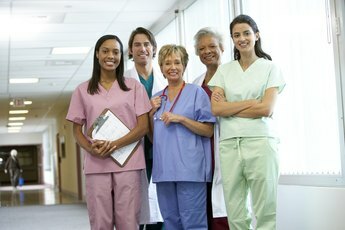 Nurse managers were a far second, earning $67,900 a year in 2011. Third highest nursing title was staff educator, which brought in an average salary of $67,700. What is the Average Income for a Massage Therapist?